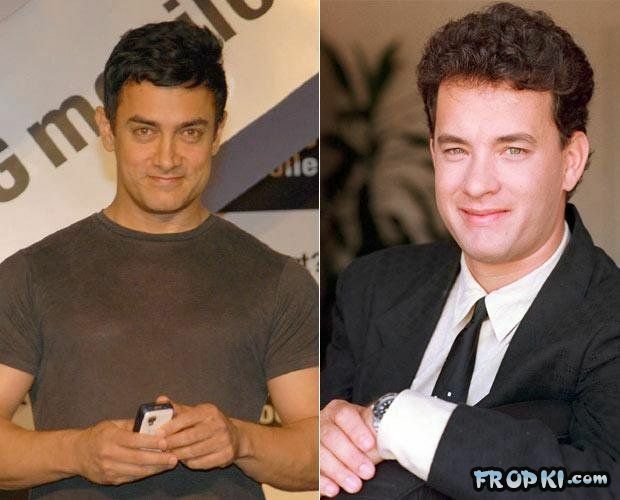 Aamir Khan and Tom Hanks How do we separate one perfectionist from the other? We cannot! Both these stars have given us splendid films. Don’t run Mr. Perfectionists, don’t run because aallll izzz well……. Akshay Kumar and Shawn Michaels We were shocked at first too! The Khiladi of Bollywood looks like the Heart-Break Kid. The desi-daredevil and the videsi-daredevil. A combination of stunts! Dia Mirza and Anne Hathaway Both are pretty, petite, beautiful, cute and they look just like each other! We wonder the amount of time God took to make these two dazzling beauties. 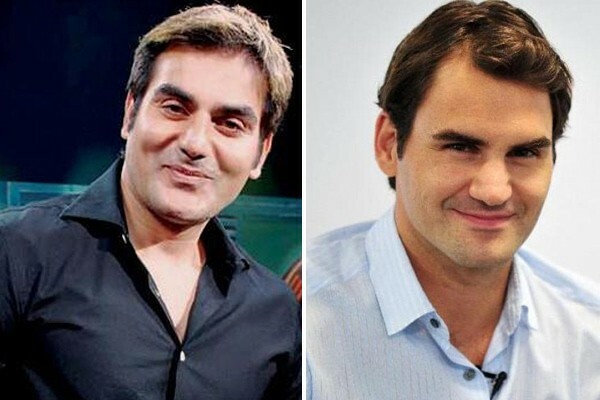 Arbaaz Khan and Roger Federer No comments. 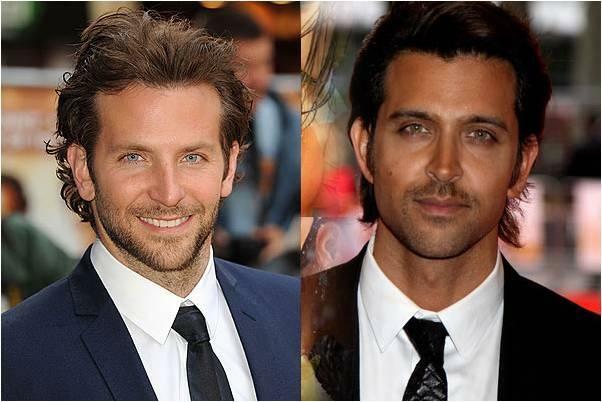 Hrithik Roshan and Bradley Cooper Greek God looks here and Greek God looks there. Girls! Choose which God you wish to fall in love. 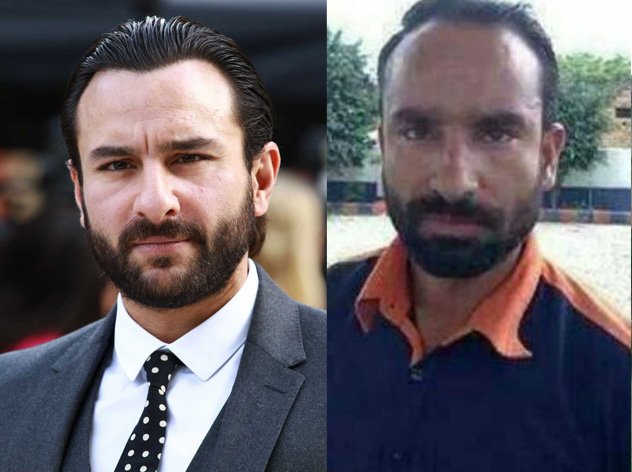 Saif Ali Khan and a Gas Station Attendant This one’s an exception. The Nawab of Bollywood has his own charm. A charm so powerful that there isn’t a Hollywood lookalike. So if it’s not imported, we found him a local lookalike, a gas station attendant. 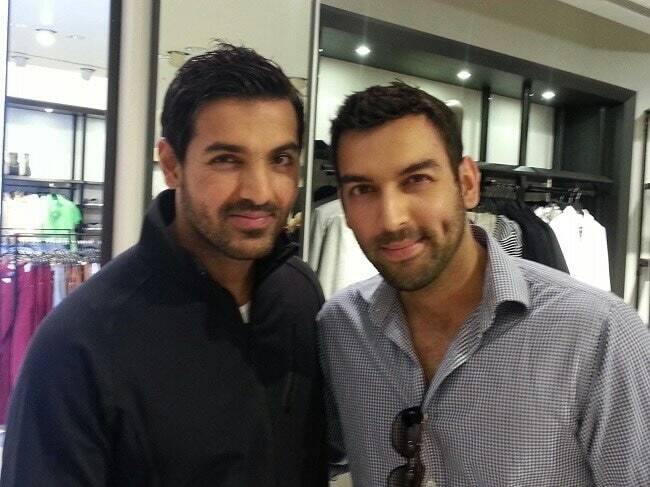 John Abraham and Mubashir Malik The Bollywood Hunk and this British broadcaster, journalist and writer look like twins. Now that is an exact photocopy. And the best part is that Malik even has those cute dimples just like John. Katrina Kaif and Cobie Smulders Oh the hotness quotient both these actress hold is just too much! Just too much. And they look the same. Boys, we know where you’re going after looking at this picture. Please keep the washroom clean! Priyanka Chopra and Eva Mendes One Indian import to Hollywood and other is a Cuban import to Hollywood. Both have impressed the world and both look the same. Birds of the same feather flock together, in this case same imports flock together. Sophie Choudry and Kim Kadashain Both these beauties rock the fashion scene. Kim Kardashian raises eyebrows with her ability to stir up controversies, while Sophie Choudry likes to stay on the down-low and remain controversy-free. 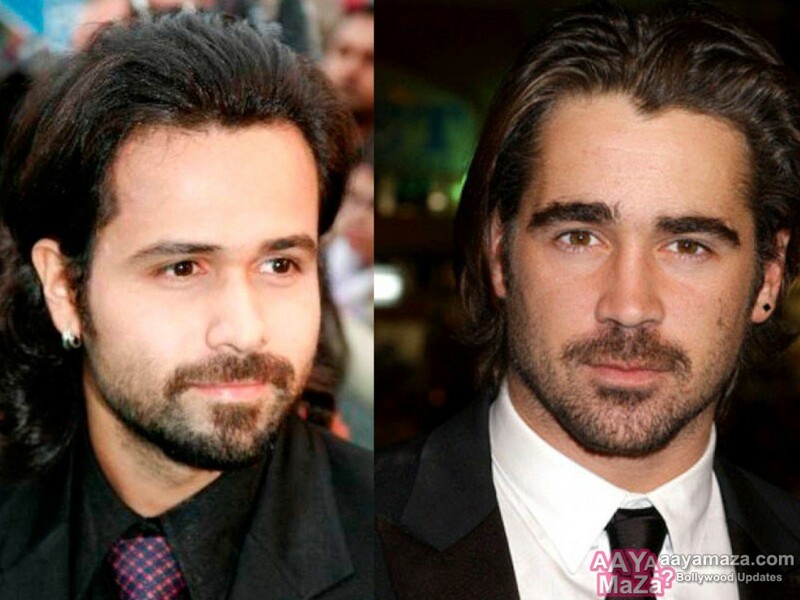 Emraan Hashmi and Colin Farell Emraan Hashmi and Colin Farrell are both known for their bad-boy image. While Emraan is famous for his 'serial kisser' image, Colin's rocky love life makes him stay in the news. Don’t you think they look similar with those puppy eyes? 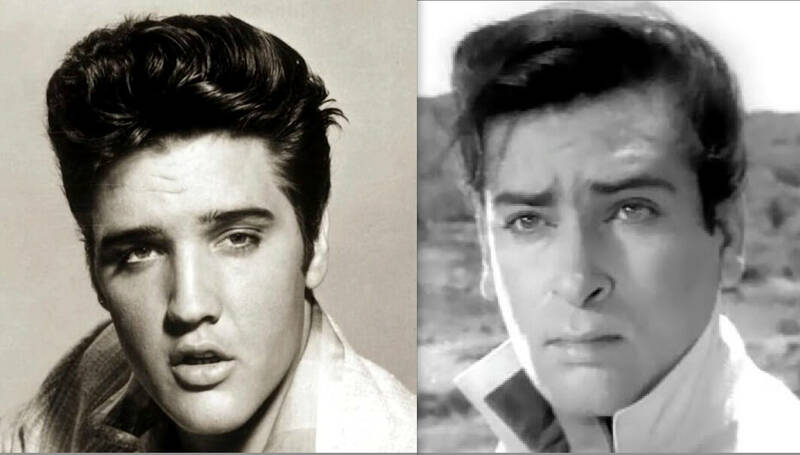 Shammi Kapoor and Elvis Presley Both Shammi Kapoor and Elvis Presley have the same mannerisms as well as looks. We can almost visualise them grooving to music with their typical dance moves. Don't you think they look like each other’s doppelgangers? Yahooooooo!!!! Sanjay Kapoor and Liev Schreiber Live Schrieber is a director, producer and actor and has appeared in films like X-Men Origins: Wolverine and Goon. The smile and the facial structure are main points of resemblance. Both aren’t very social and we don’t know much about them. 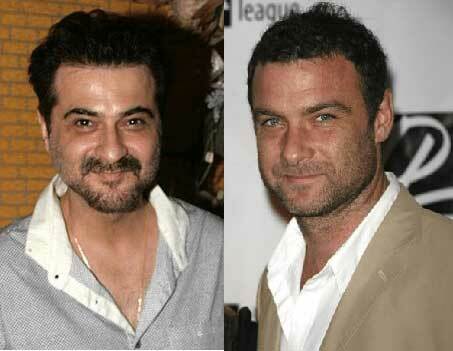 Well, Sanjay Kapoor is Sonam Kapoor’s uncle and Liev Schreiber is…….we’ll get back to you on that one. 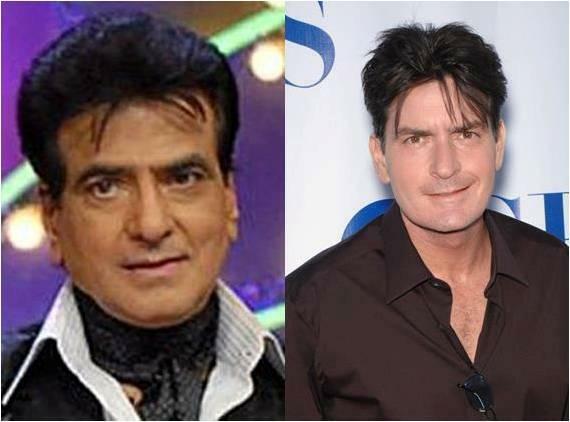 Jitendra and Charlie Sheen They both look the same. The same! Jitendra as we know loves playing badminton and holi, where as Mr. Sheen loves playing with the ladies. Oher then looks, they love playing. That makes them not two and a half men, but two complete men.